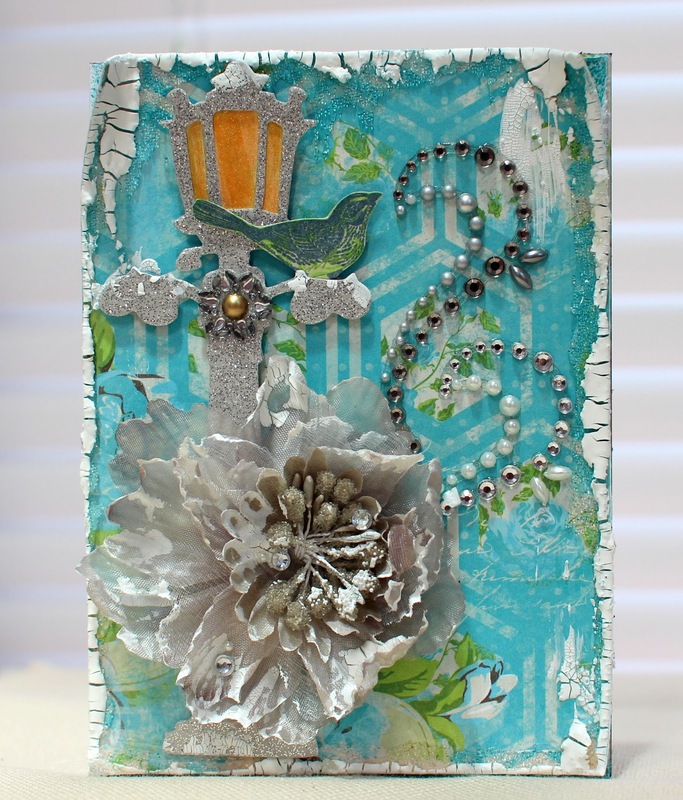 Today, I'm sharing a sorta shabby, sorta sparkly little card. 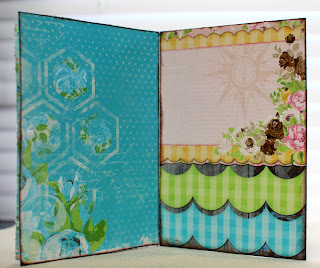 I used "Prairie Chic" collection by Bo Bunny, and I made it for their May card challenge, which was a sketch. 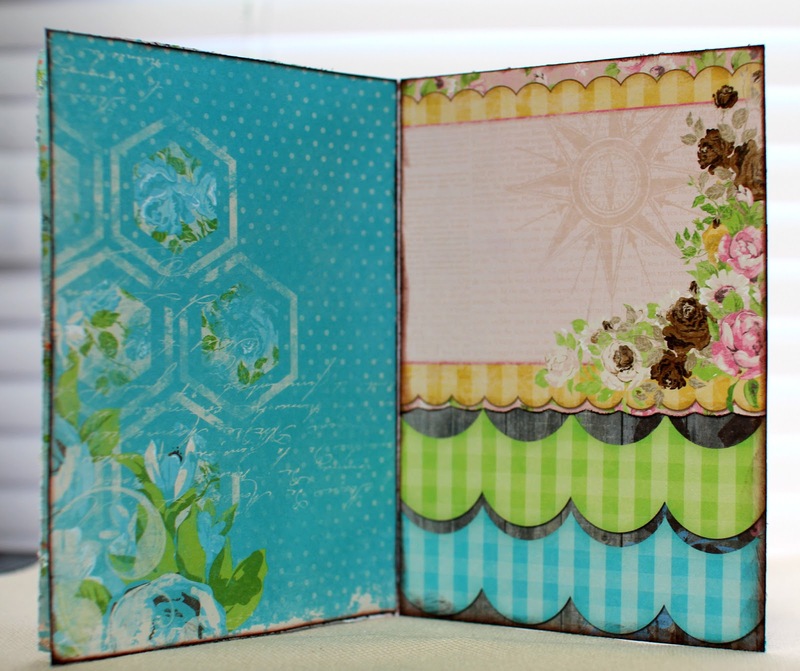 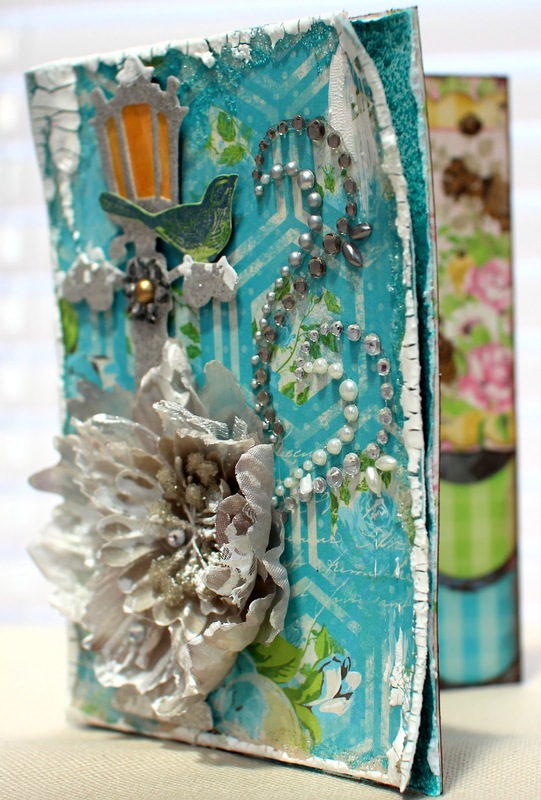 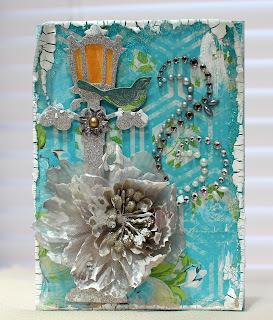 To make it shabby, I first added a glass bead gel medium on the corners, and then when it dried, I added some Tim Holtz white crackle paint on the corners, and the lamp post (a Tim Holtz die), and on the Prima flower. 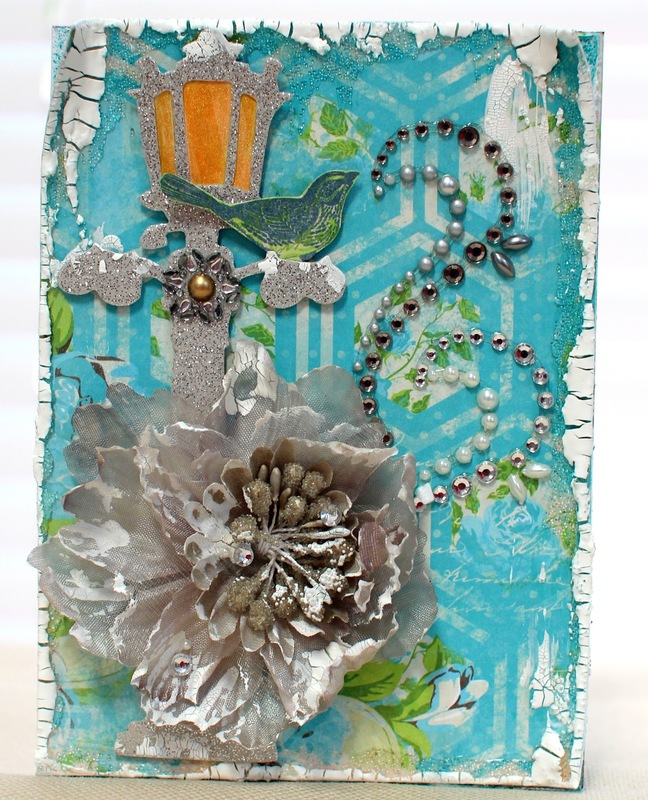 The lamp post was cut from glitter paper, and I added a few gems inside the flower, as well as Prima swirls and gems for a little glitz and sparkle. 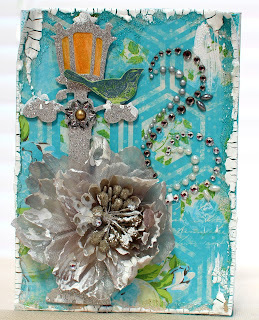 For inside the lamp, I painted the yellow paper with some gold paint. 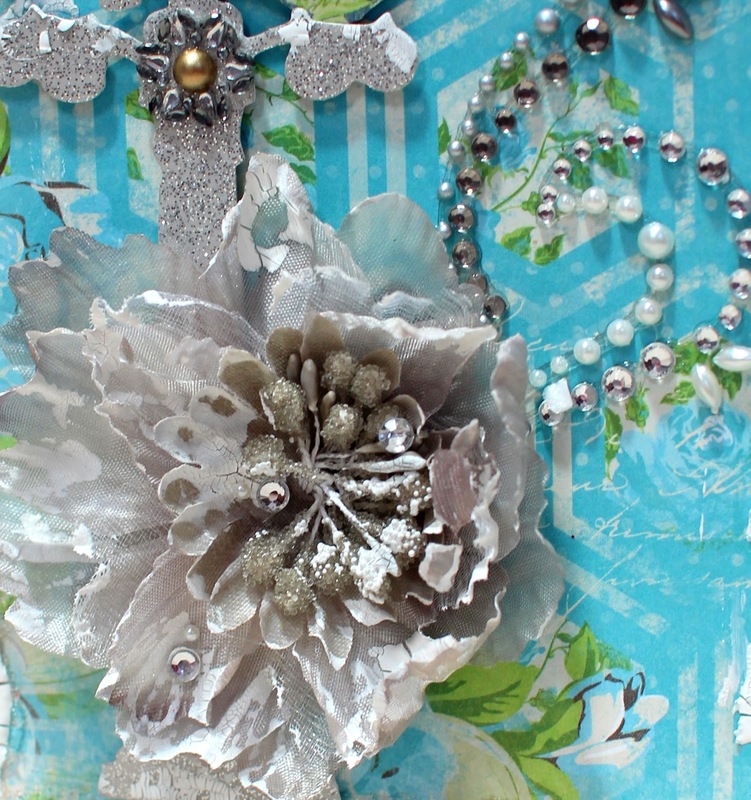 I sprayed the surface of the card with blue glimmer mist, so there is a lot of dimension since the card topper curls away at the edges, revealing the blue misting underneath. 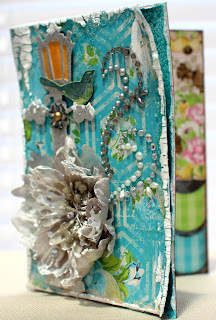 Hope you guys like!! 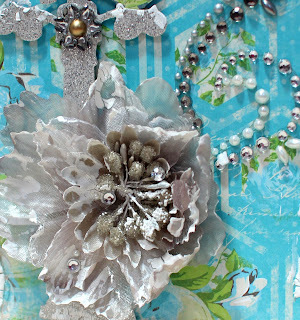 This is beautiful inside and out.. love the silver flower!